Property 6: Lake Hiwassee Cabin w/ Water Views-1 Mi to Marina! Property 10: Stunning Mountain Views! And So Much To Do! Family & Pet Friendly. Property 11: Bear Paw Resort Lake Hiwassee: 4 Bed/2 Full/2 Half Bath With Mtn & Lake Views! Property 17: 'Otter Cottage' Riverfront/Trailside Murphy Cabin! Property 21: Spacious Cabin - Hot Tub, Screened in Porch and Views! Discount for 7+ Nights! Property 22: Relax in Turkey Creek Acres on the Nottely River!! Property 25: Modern Rustic Cabin on 5 acres in Cherokee National with amazing mountain Views! Property 27: Secluded Setting Conveniently located close to downtown. Property 30: 'Hidden Hollow' Murphy Cabin on Nottely River! Property 31: Lakeside Base for Adventure with All the Comforts of Home! Views! Decks! WiFi! Property 32: Mountain Retreat with Amazing Views! Property 38: Waterfront getaway on Hemptown Creek. 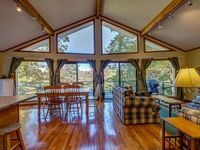 Property 39: Couples Retreat with Incredible Mountain Views! 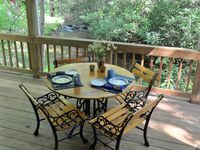 Property 46: Blue Shutter Cottage at Bear Paw - Great Mountain Getaway! We stayed at Bear Paw from 4/8 - 4/10. Loved it. Cabin was clean and had everything we needed. Spent relaxing couple of days sitting by the fireplace. Would definitely stay there again. Thank you for your hospitality! !